How Stable Is Your Operating System? My internet “wasn’t working” and after figuring out that I could ping my router but not outside, it was clear that I needed to reset my router so that it would be assigned another IP address via my dsl modem. This scenario is common. The only thing that may be a little different for me is that I don’t have one of those iconic blue on gray boxes with two antennas sticking up. I was able to log into my router via ssh to r estart my network. My router is a full computer. 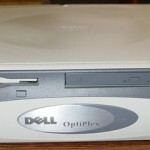 It is a dell gx1 optiplex 400mHz system running Gentoo Linux that I installed installed initially in 2005. I’ve updated my installation a few times over the years, but I’ve not had to add or remove any of the hardware. More impressively, I’ve never had to reinstall the operating system. Why is that odd? This is a computer that runs 24 hours a day, seven days a week, every week, without a reboot. The most common reason for turning off or rebooting the computer. I’ve never been able to get even one week out of a Windows installation, no matter how vanilla, without a reboot. To make things more fun, this computer has worse specs than the one I took to college 13 years ago. When people use the association between linux and stability. This is what they mean. My operating system was initially intalled June 27, 2005. 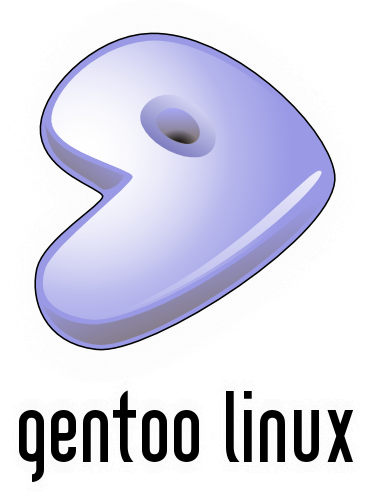 Happy belated 12th birthday gentoo router. You’re probably middle-aged now. This entry was posted in information technology, linux, Travis Osterman by Travis Osterman. Bookmark the permalink.